What if mankind had to leave Earth and somebody forgot to turn the last robot off? That is basically what happened to Wall-E, the hero of Pixar’s first sci-fi adventure. We meet everyone’s favorite robot garbage man doing what he was built for – cleaning up a planet that humans had long since abandoned. However, when he meets a sleek robot named EVE, he discovers a new purpose. 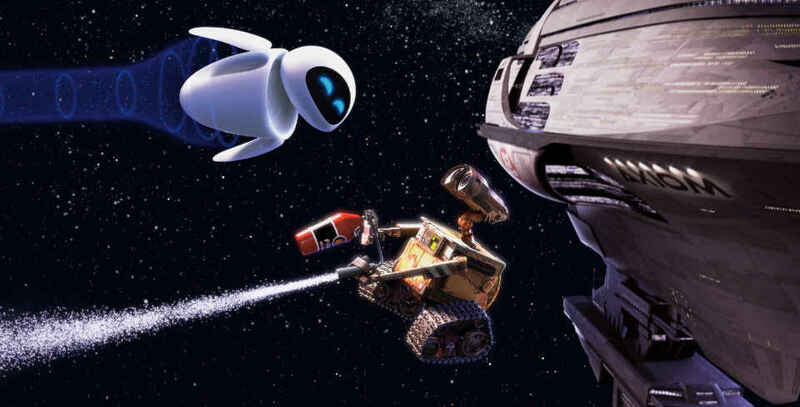 EVE meanwhile comes to discover that Wall-E has inadvertently stumbled upon the key to Earth’s future, and races back to space to report this to the humans with a smitten Wall-E chasing after. This sets into motion one of the most imaginative adventures ever brought to the big screen. At the time, Roger Ebert said that Wall-E “succeeds at being three things at once: an enthralling animated film, a visual wonderment, and a decent science-fiction story.” He’s one hundred percent correct. In fact, there’s not much more to say that would describe what a masterpiece Wall-E is. What kind of a podcast would we be though if we didn’t at least try? Listen as Val, Tracy, and, Jake talk about what made Wall-E stand out from the rest of what Pixar had done up to that point, why they think it was ahead of its time, and what technology it may or may not have inspired at this year’s CES. What is your favorite Pixar movie? Where does Wall-E rank on your list of favorites? Do you subscribe to the theory that animated movies are just for kids? What about any other feedback or maybe there is a movie you would like us to discuss on an upcoming episode? Let us know at podcast@moviesthatmakeus.com.